Take for instance a manual Segregation of Duties (SOD) analysis. On average, it takes 250 employee hours to complete this task. With the progression of technology, there are now tools such as Fastpath Assure, which can cut the SoD analysis time down to a matter of hours, while providing a much more accurate analysis as opposed to completing the process manually. Another recommended practice for proper internal audit is a software tool for data mining. 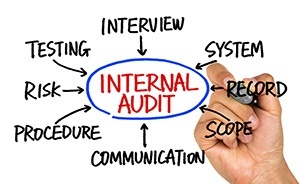 According to a survey of 14,000 internal audit practitioners, only 53% reported using a tool for this process. Fastpath's Audit Trail tool was specifically designed to meet the needs auditors demand. Audit Trail monitors and tracks all changes to critical systems data whether made from external sources or within the target system. Using a tool such as Audit Trail will provide a detailed analysis allowing you to analyze changes to your transaction and master data, even including the source of change, user initiating the change and the before/after values. Is your company part of the 62% that are not currently using technology at an appropriate level for your audits? If your company uses Microsoft Dynamics, NetSuite, Intacct, Oracle EBS or Acumatica, contact our team to learn just how far auditing software has come, and how much simpler an audit can be with the right tools.